The huge Family Bible was always on my Mamaws coffee table, stuffed with obituaries and newspaper clippings. 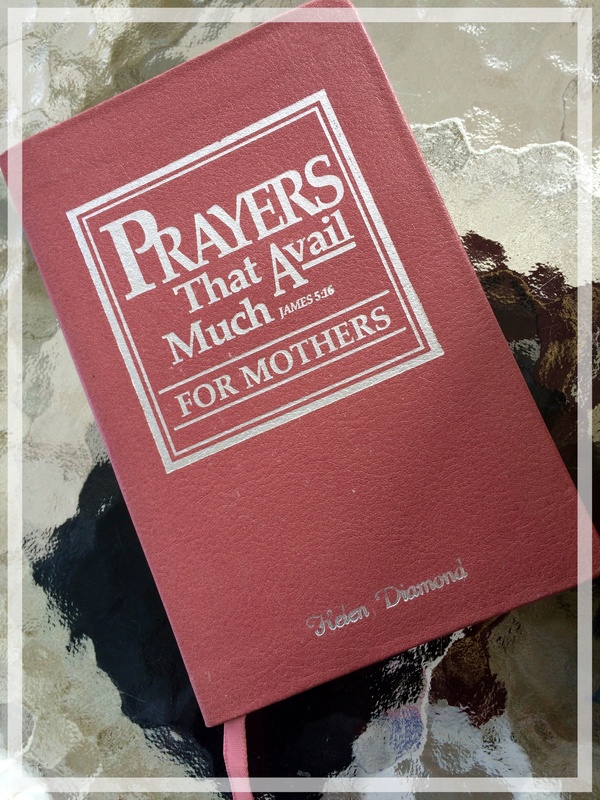 I can remember thumbing through the pictures and she would say, “Neicy, you can look through it, but don’t lose Mamaws important papers” – I don’t remember reading the clippings, just carefully maneuvering enough to look at the pictures in that big book. I always wondered if Jesus looked like the man on the front. I still do? The photographs always looked more like paintings and they were always “old-looking people, except for the manger scene, and quite honestly? a lot of them looked mad or scared, well, except for the fluffy sheep with the Shepherd. Maybe you remember them? for a kid, the Bible has come a long way in graphics and color. Today, I took another glance at some of the photos and the memories just started flowing. Not only the memories of the book, but the back story that I would only learn later in my teenage years. I remember my Mamaw looking at the daily newspaper when it came. She thumbed through catalogs that came in the mail. She and my Momma would talk about events and what was in the sale papers that week. It would seem that they were always chatting away with their tea and coffee at that kitchen table. I also would notice that when it came time to sign anything important.. Momma would put her finger in the place and Mamaw would just make an “x”. Her mark as she called it. It would be years later than I started to put the pieces together about those moments at the table. My mother read to us all the time, Mamaw just told us stories … and lots of stories. Some of them were funny, some scary but mostly it was what she did before I fell asleep. I spent the night with her every single chance I had. She was a wonderful Mamaw that enjoyed my company as much as I did hers. I never noticed when I asked her to read a storybook, she would say.. that reminds me of a story and she would put the book to the side and start telling it with such suspense, I would be totally interested. The days came that I spent less time spending the night and more time just popping in and out for visits. I stayed busy with school and friends. I don’t recall the moment I realized this truth. My Mamaw had never, ever in her entire life learned to read and write. How in the world did she function? I am still amazed when I think of it. Yet, she did, and I don’t think we ever discussed it. I would learn later that she was ashamed. How I wish I could go back, maybe she had lived into my adult years.. I would have attempted to teach her, just so she could have had that opportunity. She had determination to thrive on what knowledge she had. I guess when you are a child, you don’t notice people’s limitations? You just know things got done. Moving forward to the “thriving” on what you know. I can’t say that I was “raised” in church with my parents. I wasn’t. Yet, I rode the sunday school bus or caught a ride with my Aunt Reanie. I have fond memories of her lifesavers during church, and putting the pennies in the little church shaped offering bank. I can still recall the sound of them going in the slot. I would be nearly ten years old when my parents joined church. It was a new thing for us to go together. From the earliest times, I knew Bible stories, some scripture like John 3:16. What I would come to realize, is that my Momma did not. Once again, I would come to know the limitations, and the obstacles that she would overcome. I began reading between the lines. I can see her sitting at the kitchen table. I called to her to let her know that her favorite singer was on.. 1977 Elvis special. No reply. I walked into the kitchen and said “Momma? are you not going to watch Elvis on tv?” Looking back, this was a defining moment with my Momma as clear as the one with my sweet Mamaw who never read a word in her life. She told me she wasn’t going to watch the show, but needed to study and read. “Whaaaaat?” No Elvis??? She must really, really be reading something interesting!!! My Momma LOVED her some Elvis! What I saw on the kitchen table was not the huge family Bible like my Mamaws.. but this. I didn’t understand why she had our kids Bible. Remember, kids do not realize limitations. Just like my Mamaw… she had a secret. Humbling was not even a big enough word for me that evening. She would go on to explain that she wanted to read the big Bible.. but it was too confusing. She wanted to start from scratch.. learn the stories so she would know what it was talking about. She said she was excited to learn everything she could. She was 30 years old, and didn’t know as many stories in the Bible as her children. I say this not to bring any kind of negative to my Momma.. but she knew it was important enough for her to overcome her limitations of what she didn’t know. It would become a part of her testimony the remainder of her short 58 years on this earth. The same as my Mamaw’s lessons in being blessed with knowledge, even though you had to take a different route to get there. If it is important… you make the committment to learn and you trusted God to help you get there. My heritage. In the midst of two very brave ladies. I read, and often… but I never look at written words the same without the memory of my Momma sitting at the kitchen table reading that children’s Bible, oh how she grew to love the written Word of God… I seldom sign my name without thinking of the “mark” Mamaw made on my life and her love for the Savior’s Words even though she couldn’t read them for herself. I hope you never miss the opportunity to “read between the lines” with the people you encounter on this journey. Tell your stories, share your testimonies… It may be years before they have an effect on those around you. We all have limitations… and that’s perfectly okay, but we don’t have to let them define us, or prevent us from learning -whether it be from books, or people. And for today, I can’t seem to stop giggling… thinking of how much Momma and Mamaw would have surely enjoyed this Coloring Page Bible. The gate has been installed. There is not a day that I see it that I have not been directed to this verse. I decided to ponder a little more on this gate… the reason it had to be put there, I was not fully on board to have it. After all, it hinders me walking straight through the breezeway carrying groceries or what have you. Sometimes when I am on the inside of the gate it feels like I am being “locked in” It has taken some time for me to get used to it being there. It is there for one purpose… for safety. I don’t despise the gate, but I have yet to get used to it. It constricts my view of the field out front.. cars passing by and the pear trees.. bars. a lock. It has already proved to be efficient, so I know how much it was necessary. I often think of the phrase… “what is in the well, comes up in the bucket.” A simple reminder from my childhood, drawing the water bucket up from a deep well and finally the icy-cold water we drank from the dipper. We knew what to expect – water and it was extremely cold on a hot summer day. We also knew the importance of keeping the well clean. If you want to know what is in your heart, just listen to what escapes your mouth. Jesus said, “Out of the abundance of the heart the mouth speaks” (Matthew 12:34). So there it was… and I stare once again at the gate. I am warming up to this gate.. little by little as I start to see it more as an object of keeping things out as opposed to keeping me in. I have never taken a liking to being locked in, crowded out, or confined to a small space. I can manage it, but I do not like it. Same as with the dark, I am not afraid of it, yet I prefer light… lots of light. My thoughts rewind to this past winter. We needed that gate. It would have saved us a whole lot of trouble in the months to come. It would have prevented an almost tragic accident. On a very icy morning, a horse got out of a pasture and frantically sped through that very breezeway, only seconds after I had stepped out onto the concrete. The near miss was unnerving enough, only to end up having a spooked horse submerged in our in-ground pool. The end result was a tricky rescue for the equine, a weary and cold group of folks and a destroyed swimming pool that caused me a whole lot of disappointment this past summer. I get it now. Hindsight is always 20/20 and you can’t go back. If only we had installed the gate sooner. The pool was materialistic. The danger that was presented to us that day was so much more. A lot of things could have went wrong. Any of us at any given time could have been seriously injured. The horse could have died. Neither happened. Often time I think of instances that could have been prevented “heartwise” If I had only put the safety measures in place to keep out the harmful words, thoughts, actions… guarded my responses to insult. Guard. Guard. Guard. Yet how many times do we leave the gate “wide open” and “unprotected” an avenue whereby things can be damaged and stolen. The gate installation was not a simple task. It required the right tools, the correct measuring and the adequate amount of adjusting. Had we just tried to “wing it” … I am sure it would have been a disaster. Our hearts require these things… using the right tools, using the Word as a plumb-line and being willing to adjust our thoughts and actions to insure the guard is in place and working to our best interest. Guarding your heart is not mechanical. It takes effort and diligence. It is intentional and on purpose. Install the gate, realize it is there for your safety, protecting everything that comes through it and providing protection from unwanted trespassing. It is not there as a prison gate, a place of being locked away and kept out of touch with the outside world. It is simply a divine safety measure. If you guard your heart… it increases the capability to make better choices, better voices and an effective witness. Okay… maybe the gate is growing on me after all? or at least provoking my thoughts to something positive. Maybe even a reminder that while I have been guilty of leaving the gate unlocked and wide open, or even partially closed… I realize the importance of its presence and that alone…..is a secure reminder of the grace for the past and the encouragement to keep moving forward in the present and future guarding of the heart. Last year….2017 only lives in memory. Each year I attempt to say goodbye joyfully, and to others only to bid some “good riddance.” It’s difficult to list them all, the good and the bad.. without seeming ungrateful for the lessons learned or just for the sake of sounding offensive. The year also held so many wonderful moments shared within my own four walls. It is here that I am the most thankful and the place where I learn by trial and error most days. There were lots of “firsts” for us.. our daughters’ Senior year was in full swing.. her first prom.. a steady boyfriend….driving herself anywhere she wanted to go.. As a momma, these were huge changes. Jointly, as parents these were uncharted waters for us to navigate. We failed and wailed on some… some we did okay. We lived on grace many days, as I am sure we will require even more in the coming year. A new place of worship for us as a family. My dearest Uncle.. saying goodbye on this side of Heaven was so very hard. One day… we will make up the time. Did I mention that I turned 50? That will put your life into perspective! 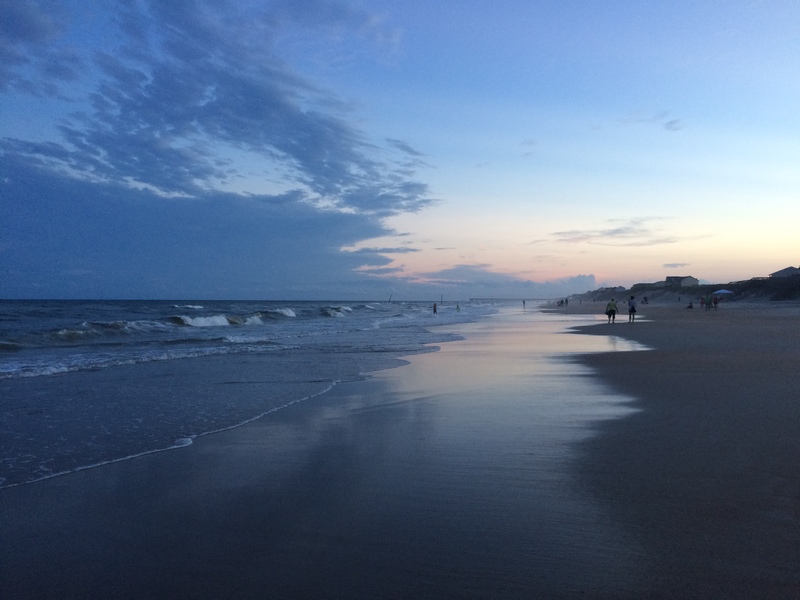 Another great week of vacation at our favorite beach…making new friends and enjoying so many of our present ones. I think it was a year that I watched some of my closest friends and family go through some really hard things. There were sicknesses and disease and lots of just plain old heartbreak. Emotionally, there were a lot of train wrecks out there in 2017. There were a lot of new things that I learned about others and about myself. There were a whole lot of people I should have taken better care of…spent more time with or just nurtured a friendship. There were those that I should have trusted less with my offerings of kindness, less with my good intentions and basically left well enough alone. I should have read more books this past year. As Thanksgiving and Christmas came…. I wish I could have cherished it more. I could have watched more Christmas movies and baked more goodies. There should have been more snuggles with my grown girl while she was on break. And just like that, the holidays were over and the year 2017 was a distant memory.. It was also a year to be thankful…. You are such a good, good Father to us. Navigating Christmas… looking at the calendar, counting the days and scheduling activities, another gift to purchase or maybe the last-minute touches on your decorations. I navigate. If you know me? I often have no sense of direction even when using a GPS. So, when I say I navigate….I’m really saying that I get lost a lot. I tend to “wander” when I should be in “wonder”… here’s the difference between the two. Wonder – To be filled with admiration, amazement or awe; to marvel. Wander – To go aimlessly, indirectly, or casually; meander. Honestly, I relate to both at Christmastime.I navigate the highs and lows of the season. I am a content person for the most part, cautious and careful… okay, maybe the term “boring” is more adequate.. but then again.. send in the crazy Christmas elves that make havoc in my head and we’ve got ourselves a holiday circus act. I actually borrowed this photo from a friend. When I saw it, I immediately thought “Wonder” – the magical season of Christmas and all that it embraces. I also thought it should be a visual reminder for the days when I have more “Wander” than “Wonder” in my season. 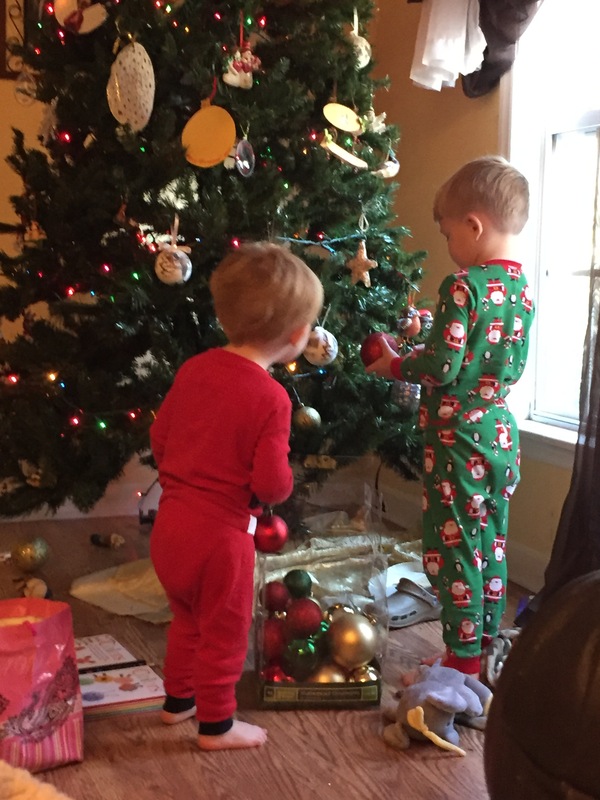 Christmas through the eyes of a child…keep it simple..reminisce. I find it a slippery, snowy slope that sometimes lands me over the hill (a WV sledding reference) turned up on my head. Since I loved sledding so much, it’s an easy metaphor…you just get up and dust the snow off and take another run at it. Christmas for so many of us is a balance. I love to paint the Norman Rockwell visual at Christmas.. who doesn’t. It keeps the season bright and cheery, especially for the little people. I enjoy visiting Christmas’ past with my own daughter. Childhood flees.. but memories do not. I balance my Wonder/Wander like juggling apples and oranges out of my Christmas Stocking. I choose “Wonder” for the most part, maybe even 90% of the time. I choose it because it is far less heavy. If you have read any other blogs here.. you would know that the other 10% is where I often “Wander” … My best friend aka…my grandmother died Christmas Eve when I was 17, Sometimes my parents argued at Christmas, the times there were less presents (kids remember) because my Stepfather’s mines went on strike..oddly, I can’t remember spending one single Christmas with my own Daddy and I still don’t know why. It shouldn’t matter but it somehow it does when I am “wandering” in my thoughts here. My own mother battled depression every single Christmas after losing her mother on Christmas Eve..And even now here I am missing her at Christmas because despite that.. she always made Christmas special for us…just as I will attempt for mine as well. That other 10% is often heavier than a sack of Santa coal for me..yet.. the truth is..there are always others that carry more than a mere 10% every single day. With that being said, not all of my friends/family love Christmas. Some of them despise it, wish it would just speed on by. However, I can say that they don’t wish my holiday away… and I try to refrain from pushing too much of my “Wonder” their way. Everything is a balance and a whole lot of Grace for the giving and receiving. Sometimes it’s enough to just say… Me, too, or I’m sorry. So when I display my beautiful tree… cookies and baking? Just know that the “Wonder” of the season is still being sought out…. and in the quiet of my “Wandering” I’m still working through some things… just as we all are. My heart still breaks for those that are smack dab in the middle of a season of pain. I often see the quote “All who wander, are not lost” …. maybe so. not indefinitely anyway. If you have the chance to make someones Christmas memories better this year… by all means! make it happen! If you are given the chance to heal instead of harm with your season of words.. choose healing.. always. And, if by chance, some of ya’ll need a person to “Wander” around aimlessly in thought or in a store this season…..navigating Christmas.. I’m probably your person LOL. Here is that adorable “awe” photo again…. I just couldn’t let this one go. Wishing you “Wonder” while you “Wander” through the season.. Hold tight to the good stuff my friends..
“Just wait until you have children of your own” …. those were often her words. I rolled my eyes in secret. “One day you will understand”…. it was the phrase she used frequently. I thought she was overly dramatic. Can I just go back and say.. you were right Momma. You were so right. I can’t because she’s not here. I wish I could go back, I’m sure most of us do. Regrets. I wish I could take back my angry words, my ugly attitudes and my dismissal when she would give me her advice. The things I took for granted as a teen, even as an adult. Instead, I accept Grace to replace the regret. However, I can’t help but feel her pushing me to keep on going, keep on doing the hard things because with any hope at all? It will eventually make a difference. I do not have all of the good answers to parent, neither did she. What I do have? a source…the same one she used more than I ever knew. Having said this in no way makes me a perfect parent, but the total opposite – imperfect. I’m struggling in my current stage of parenting. Those heartstrings are being played like a fast-paced banjo tune and I am trying to exhale before the next run of chords. When all is quiet, I am reminded to breathe deeply. Pray. Repeat. Listen. Go to the source. 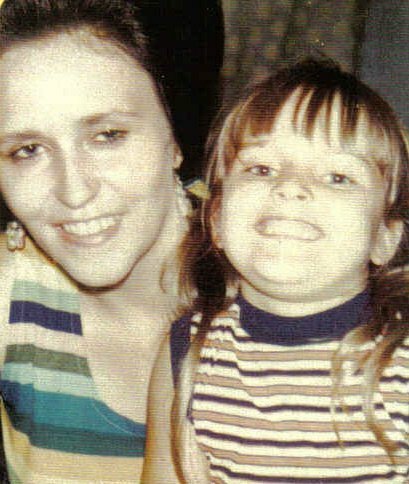 As a child, I thought my Momma surely had to be a super hero of some sort. She held us all together, made sure that we always had what we needed. She was the picture of strength. Then I became a teen. I disobeyed….disappointed her with my poor choices. I knew there would be a consequence, I was just waiting it out to hear the gavel hit, receive my sentence. She delivered it fiercely. I was grounded – from pretty much anything that I enjoyed. Car, sleepover, phone…….. I retreated behind closed doors and vowed that she was unfair. I sat on the edge of my bed and quietly mumbled “I hate her for this!” I made up my mind that I would retaliate by not speaking to her unless I was spoken to. Hours later, I figured I had gotten my point across to her. I expected to enter the room and find my strong Momma ready to tell me what she thought about my little plan and be in even more trouble. What I found was this…. 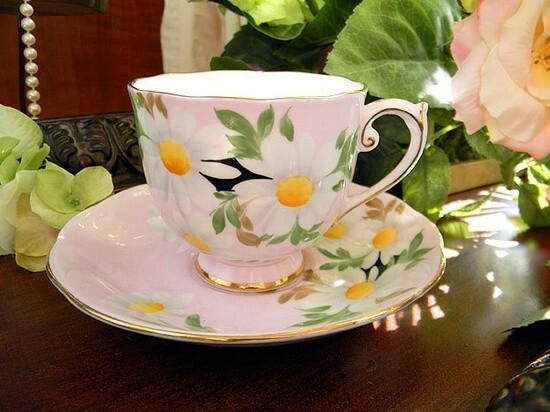 There she sat at the end of the couch, with a cup of coffee, her opened Bible on the end table and a box of tissues in her lap. I cannot to this day remember what I had done to be grounded. What I do remember are her quiet words. and there it was….. and I was so ashamed. This morning I sat in my own little corner of the couch with my coffee and kleenex.. and my Mommas prayer book. I’m sorry Momma.. now I get it. My heart hurts when I can’t make it all better, when I can no longer offer a band-aid on a boo boo. My heart breaks when I cannot fast forward past the pains of growing up. I feel broken and tired when I don’t have all of the answers. I’m struggling to see my way through.. say the right things, when is tough love appropriate and when it is not. Why? Why not? How? When? It is here I realize another moment of adult truth..
How many times do we do the same with our Heavenly Father.. do our own thing, go our own way and ignore His instruction? Only to realize that we break His heart as well. I am thankful for Grace. I am thankful for His forgiveness. This parenting thing is hard and I would like to think I have all of the answers, I surely do not. There will be days when I really mess it all up.. but with any hope at all.. there will be more that I actually get it right and my Mommas words will still make sense. Dear Ocean, thank you once again for making me feel small beside your great waters…for the shells I carried in my hand every single day and the ones I carried back to my home. Every year I anticipate the serenity that only you can give. I not only anticipate it, I depend on it the other 360 days of the year. The week catapults from Saturday to Saturday and I spend the hours in between cherishing each and every moment – from sunrise in the mornings, the crashing of the waves during high and low tides, to the sunsets in the evening ended only by yet another walk under the stars. This is the fifth year by the ocean for us and every single year that planning begins, I have new anticipations and expectations. Sometimes they come to pass, sometimes they don’t. Regardless of any plans that do not work out the way I had planned? I have yet to leave the sandy shoreline nothing less than thankful, blessed another year to share my happy place with those I love. Whether it be a day trip or a week-long vacation, the ocean has always been a gathering place for me, a place that beams with laughter and joy just by being in its presence. A place of memories that go back to my teen years with my parents, special times that linger with the present day. It is also a place that rekindles our ties that get a little frayed during the year. Family and friends gather with us when they can during our stay. It changes from year to year but the thing that never changes? those that come to be with us… come because they want to spend time with us, the ocean just happens to be an awesome backdrop for our laughter. This year has been no exception since I have had cousins travel long distances to the same ocean and we were fortunate to live close enough to join them while they were there. Day trips with our friends and family have been awesome this year too. 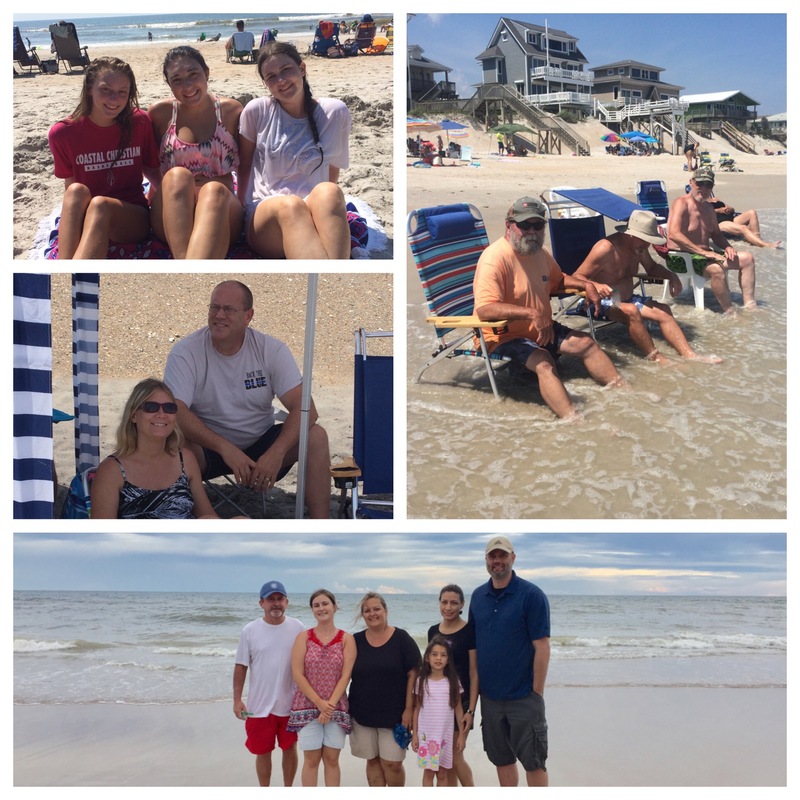 Friends that live in neighboring towns, took the time to join us for a day on the beach which always makes our time special every year. This year one of my brothers made a seven hour-long drive from Maryland just to be with us for a couple of days. I had told my brothers how much I wished to see our children enjoy the beach together at least once in my lifetime – preferably before they are all grown up. Another 360 days have come and gone without seeing them gather together again this year. Maybe one day. As always, vacation week has to be the shortest week of the year, even on Island time. So what do we do? We take lots and lots of pictures, plan our time carefully and try to squeeze as much from it as possible. Our routine walks on the beach searching for treasure, browsing our favorite gift shops and of course, waiting for that perfect sunrise and sunset. The ocean never disappoints – not me anyway. I also know that not everyone loves it as much as I do… but I sure do get excited when I am able to share it alongside my friends and family. It may have seemed to others that we had people with us 24/7 on our vacation.. We didn’t. Whether it was meeting us for dinner.. or a day in the sun? Thank you…. for spending time with us. To our new friends we met in the parking lot? What a joy to laugh with you on the beach. It takes them four days of travel, which they have now done for 14 years.. says a lot about the island we have grown to love. I am already looking forward to our next vacation and I have yet to unpack all of our belongings. There will be lots of sand to shake out of our bags and beach treasures to sort.. but the memories will last so much longer than the sand that I will continue to find for weeks. I am truly thankful for this past week. It is my hope that whether you find your place of serenity is at the beach or the mountains, or somewhere in between? find it. cherish it. Dear Ocean…. I know you miss me already… I miss you too and to my family and friends… I love you as much as the waves in the sea.